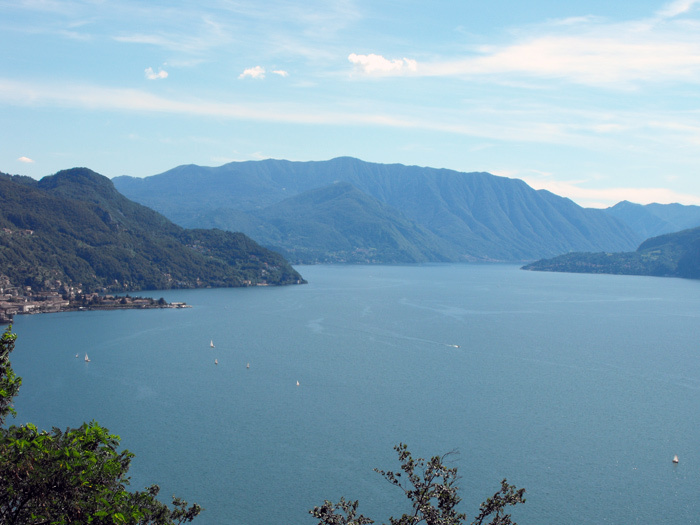 The Orezia Castle stands atop a cliff which dominates the Dervio peninsula. 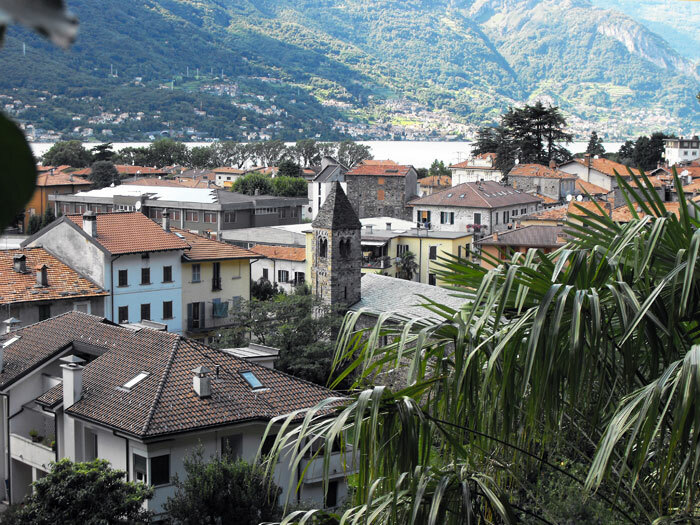 The origins of the name Orezia are not known, but that is the name by which it was referred to already back in the 12th century. 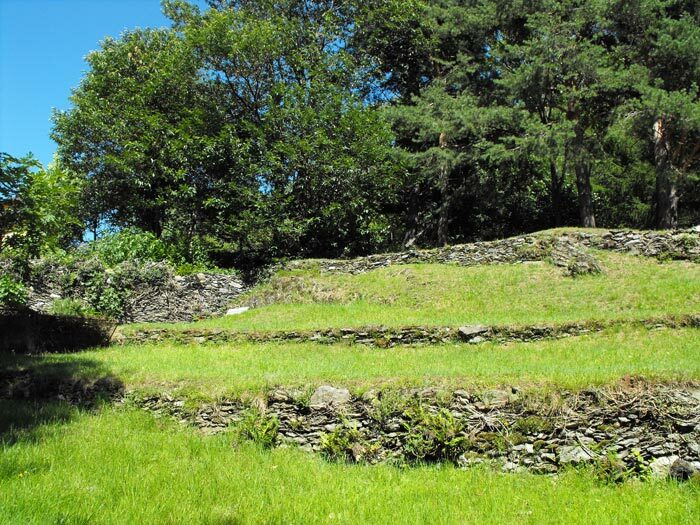 Initial documented sources speaking of the presence of a fortress date back to the year 1040 - in that day the castle underwent a lengthy siege. 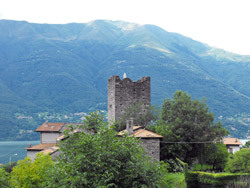 The Orezia Castle was built in the 14th century, to block the road to Valvarrone, which at the time was an important strategic connection to Valsassina. Sources report that the Orezia Castle was connected by secret passages leading to the Corenno Castle and the town of Villa. 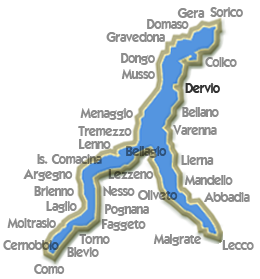 At the beginning of the 15th century, under the dominion of Rusca family, during the time of war between Milan and Como, the inhabitants of Dervio purchased a bombard in order to defend their Castle. Today only one tower - conserved in good condition - is still visible, beside it are the remains of the fortification and other towers. You can reach the castle, in addition to from the road from Valvarrone, even by a characteristic walk that begins at the foot of the cliff - most likely it was the ancient communication way between the Dervio Castle and the town. 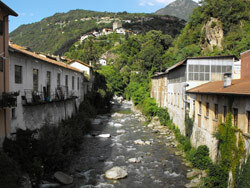 The path passes ancient houses which testify of their Medieval origins. 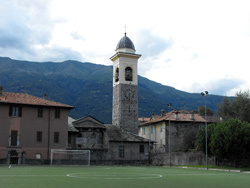 The statue of the Holy Mother was placed at the top of the Castle during a procession in December 1957. 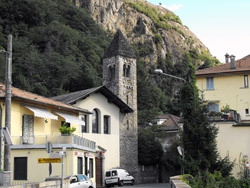 Near the tower of the Orezia Castle stands the Church of Saint Leonardo; with one nave, with a trapezium layout which converges toward the altar, it is believed to have originally been the private church of the Paruzzi-Cattaneo family. 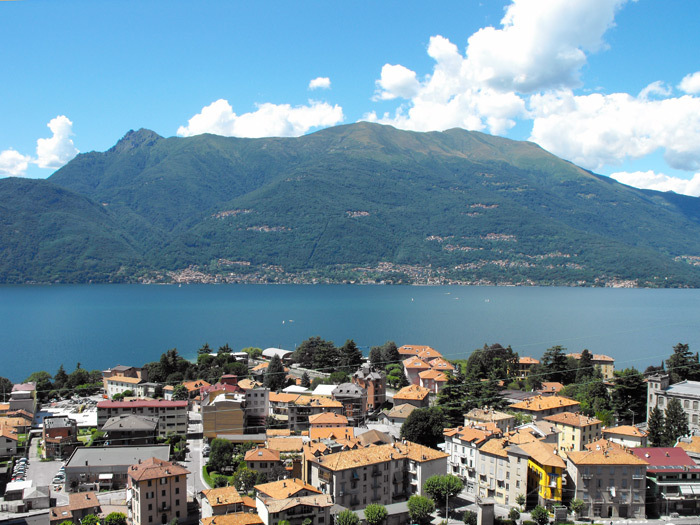 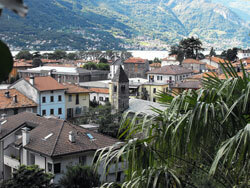 Bellano on Lake Como, is just a few kilometers from Varenna toward Colico, and it stands on a cape, where the vast panorama embraces the lake's western shores, from Menaggio up to Dongo, Bellano is famous for the Gorge of Orrido. 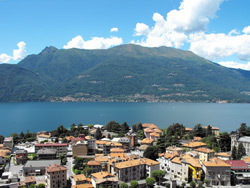 Various theme cruises are organized by the Lake Navigation Management, besides the normal lake navigation service, in July and August, it is possible to take a cruise on the Concordia with restaurant service. 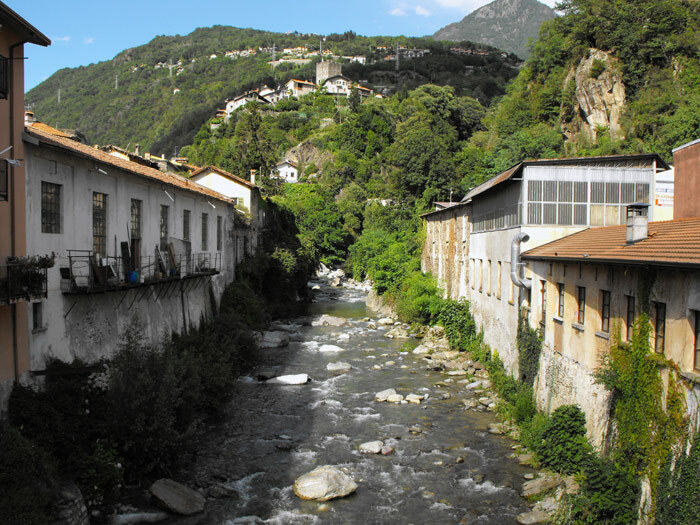 Colico is a very important tourist center, and proven by the optimal accommodation resources presented throughout its territory. 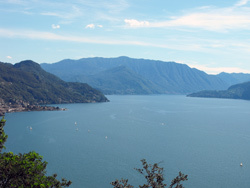 The winds that characterize this area render the waters of Colico an excellent regatta site.